Rochas takes us on a journey thanks to the new Eau de Rochas Escapade Tropicale. Since its creation in 1970, the success of Eau de Rochas has not failed and this perfume still has many followers around the world. To maintain its reputation, Rochas does not hesitate to develop regular limited editions. In this context, the brand has chosen to create a new version. 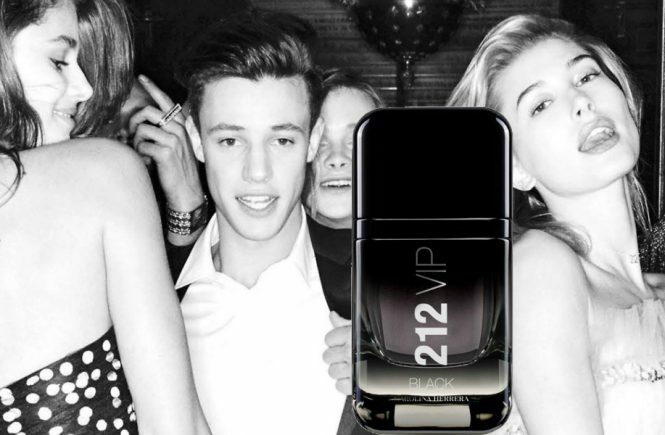 This time, this new perfume is for all fans of travel who have a hurry: put on their shorts, their straw hat and their pair of flip flops to explore an exotic land. 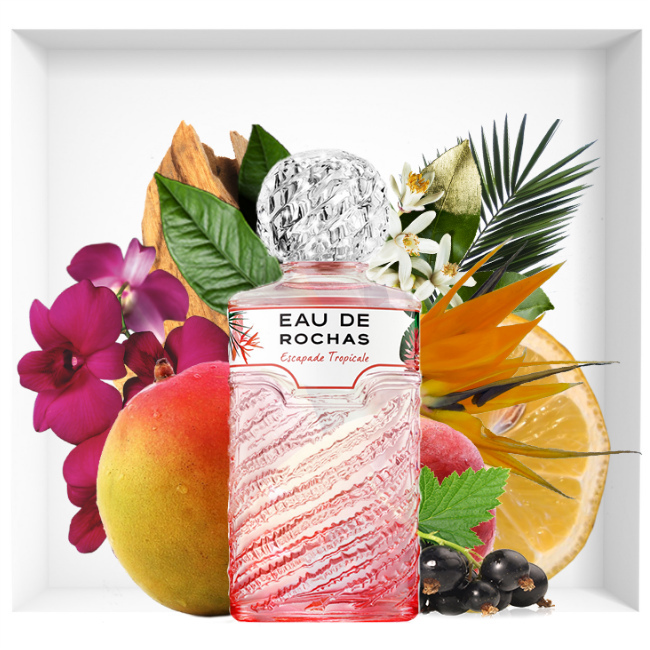 Focus on the new Eau de Rochas Escapade Tropicale. 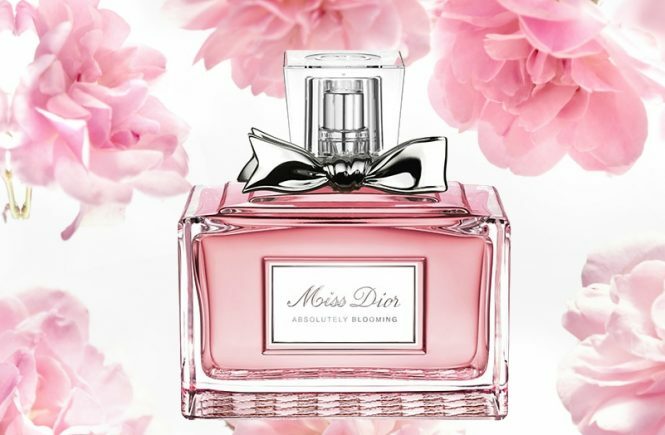 As you can see, summer and the tropics are the main themes of this perfume. This results in a very colorful and contrasting composition. 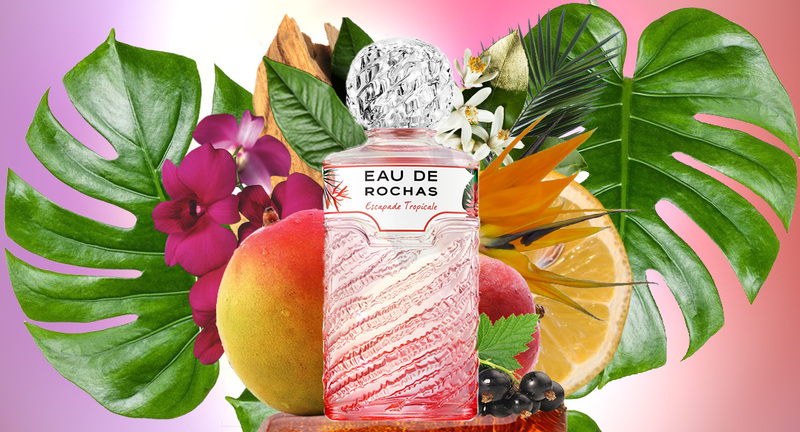 The Eau de Rochas Escapade Tropicale begins with a fruity, fresh and solar breath of lemon, cassis and neroli. His heart, meanwhile, opposes the freshness of water fruits to the depth of the cedar. It is also at this moment that all the exoticism of Eau de Rochas Escapade Tropicale resurfaces, in a captivating accord of mango. The ensemble ends with a warm alliance of ambroxan and raspberry on which an animal and seductive musk flavor is deposited. Before dwelling on its scent, let’s start by observing more closely the elegant bottle of Eau de Rochas Escapade Tropicale. Of course, the design of this container is very much inspired by previous versions of Eau de Rochas. It is about a cylinder of carved glass, whose unique texture and ripples play with light, giving rise to multiple solar reflections in its juice. The Eau de Rochas Escapade Tropicale is revealed in a pink color slightly more girly than that of the Sensual Water of 2009. The set is surmounted by a cylindrical cap like a precious stone. Finally, exotic plants are also invited on the label of this new bottle. 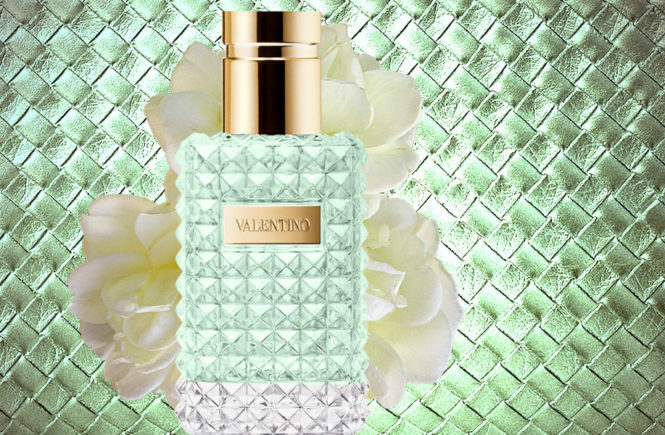 Experience Freshness with Valentino Donna Rosa Verde As Never Before!